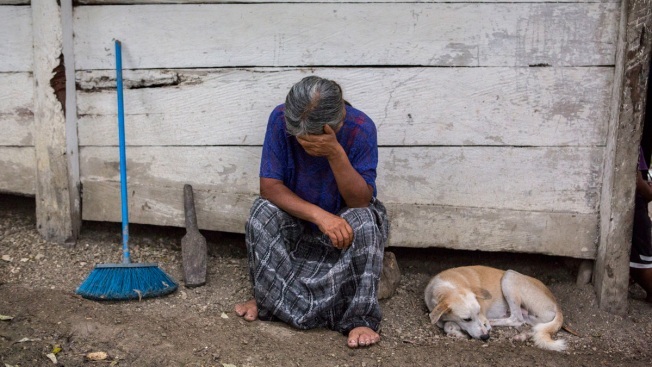 Elvira Choc, 59, Jakelin Amei Rosmery Caal's grandmother, rests her head on her hand in front of her house in Raxruha, Guatemala, on Saturday, Dec. 15, 2018. The 7-year old girl died in a Texas hospital, two days after being taken into custody by border patrol agents in a remote stretch of New Mexico desert. Her father's native language is the Mayan tongue known as Q'eqchi'. His second language is Spanish. It's unclear whether something was lost in translation or whether it would have made a difference in saving Jakelin after the two were detained and underwent a health screening along a remote stretch of the U.S.-Mexico border. But the case raises questions about the Border Patrol's use of English-only forms. Attorneys in Texas representing Caal criticized U.S. officials for asking him to sign Form I-779, which asks a series of questions with checkboxes of "yes" or "no." In the "additional comments" section on the form was written "claims good health." 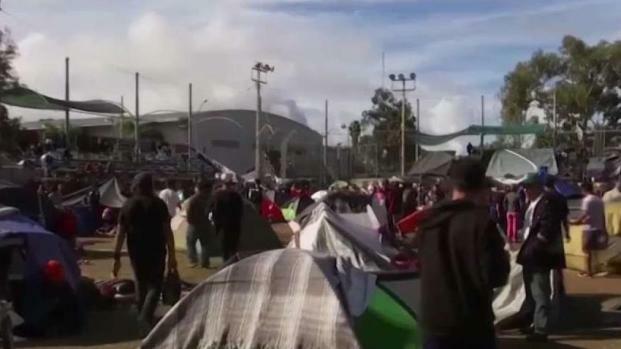 During a hearing last month at a remote tent city in West Texas, federal immigration Judge Robert S. Hough noticed one of the migrants before him was struggling to understand the court proceedings being translated in Spanish and asked him if he spoke another language. The Guatemalan man said yes, he spoke Mam, another Mayan language. Federal immigration courts try to provide interpreters for the many languages, but it's not a perfect fix. "Even if they speak languages like Mam, depending on the village, the language can be different," Hough said. The consulate asked him if he wanted an interpreter who could explain everything, including the repatriation of her body, in Q'eqchi'. He said he did. After listening to the interpreter, Paniagua said, Caal thanked the consulate and said, "he felt more comfortable in his own language." Associated Press journalist Russell Contreras contributed to this report.